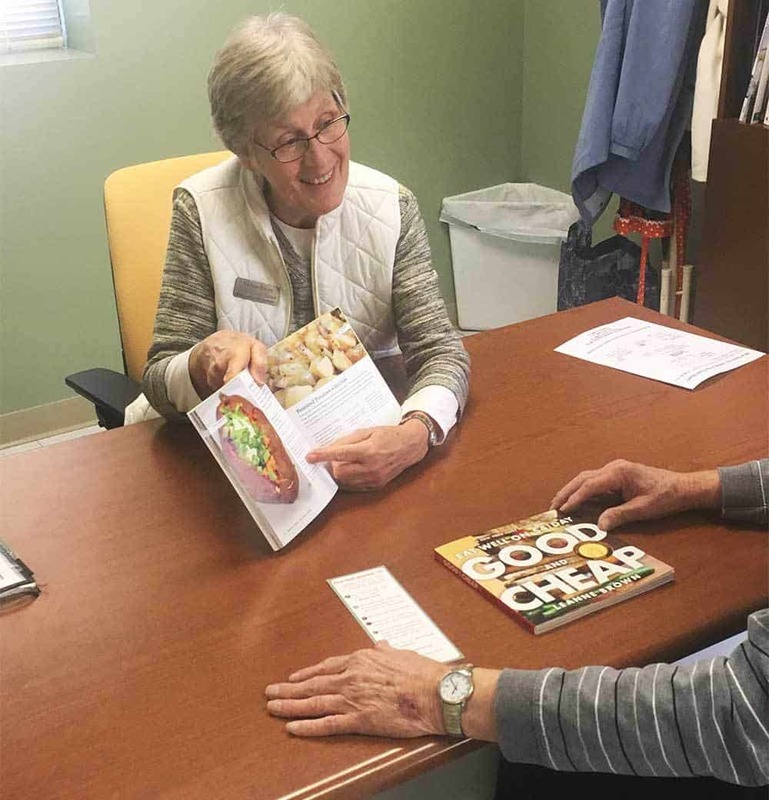 The Nutrition Education Program is a collaborative and organized response to improve the health and financial well-being of Winona County residents. Perhaps Winona Volunteer Services Supplemental Food Shelf is on your list of places you regularly donate, either food or funds. Providing food is only the beginning of the services provided by this agency. A fulltime Nutrition Educator is on staff to provide numerous educational experiences for folks willing to accept the help. There are group cooking classes held once a month which provide recipes and demonstration of meals that can be made with food available in the Food Shelf. We offer an opportunity we call Food Shelf Shopping 101 for individuals to meet with the Nutrition Educator to learn about budgeting for food, meal planning, shopping, and getting specific recipes for any special dietary needs. The knowledge gained transfers to smart shopping at the grocery store. Last, but not least, individual cooking lessons are offered for anyone wanting to gain cooking skills. Making an appointment for these sessions will give hands-on experience with basic cooking skills used for many dishes. A one-dish meal is made and taken home by the participant. If you know someone who would benefit from this service let them contact Nadine at 452.5591.